What do you think are the most important issues facing the church in 2015? I asked myself this question and then searched the internet for what others think – and I was rather surprised. Of course the various lists differed quite a bit, but that is to be expected because of different perspectives and priorities. I compared a 2006 article to a current article from a similar perspective and there were differences, but what surprised me most was what the lists did not contain. A November 2006 article titled Top 15 Theological Issues of Our Day lists Religious Pluralism (all religions are equally valid) as the number one problem, Postmodern Epistemology (nature of truth) as number two, and Open Theism (God doesn’t know everything about the future) as number three. Inerrancy (The Bible is without error) came in at number nine followed by Calvinism vs. Arminianism. In October, 2014 Michael Spencer published his list of Thirteen Critical Problems, also from a theological perspective. His number One issue is the ‘growing doctrinal deterioration on the essentials and implications of the Gospel’. Number two is ‘the expansion and influence of the “Prosperity Gospel”’. The ‘rise of the “audience-only” model of church participation’ came in at number three. 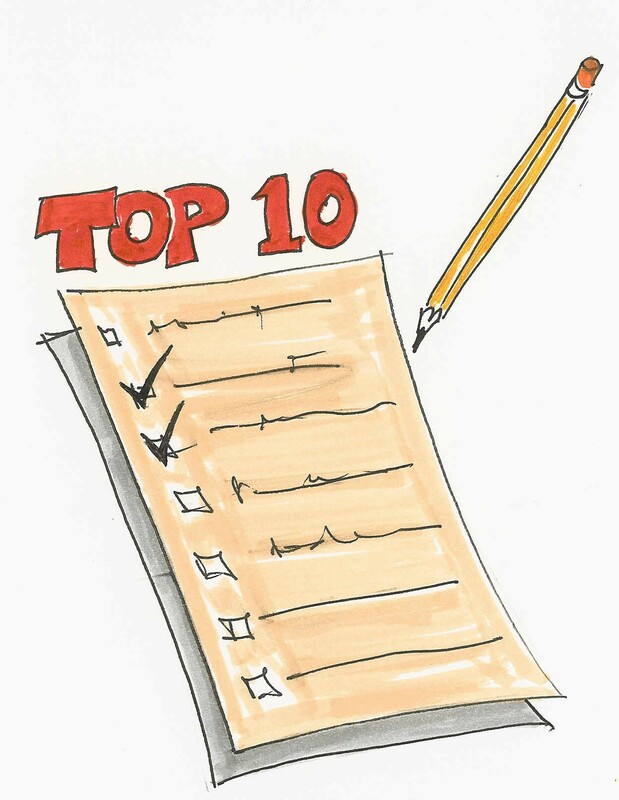 His number nine is the lack of quality new leaders, and failure to monitor the church planting movement ranked tenth. Religious Pluralism is an ‘all paths lead to Rome’ approach that does not position Jesus as the only way to God the Father, despite the fact that He boldly asserted this (John 14:6) This is still a major problem today and would be included in number two on the 2014 list. The nature of truth is still a huge issue and this is also centred on Jesus because He is the very source of truth. The Prosperity Gospel stumbles on this issue because it embraces what they call ‘revelation truth’ which comes from either literalistic or allegorical readings of the biblical text. The 2014 newcomer to the top three is the ‘audience-only’ church model. I would include seeker-sensitive and other attractional approaches (draw them in to the Sunday service with musical entertainment, popular preaching and fun activities) under this heading. I agree that the nature of both truth and church are major issues confronting us today. I was surprised that both inerrancy and the Calvinist/Arminian debate seem to have dropped off the radar. Perhaps it is only theologians over 60 who still worry about these things. I certainly have strong views on both but perhaps you, the reader, aren’t that interested? Let me know please (a short comment on this post would be great). What surprised me most was what was not on any list I could find – Islam and NAR. Militant Islam is a HUGE problem in our world but I wonder how many Christians understand what that religion actually teaches and how we should be responding to it. The South African Theological Seminary has recently been promised a donation of an extensive library of Islamic studies and will soon be well positioned to address this important topic. NAR stands for New Apostolic Reformation, a movement that is big, and growing bigger, in the USA and is now spreading in South Africa. Its doctrinal roots are in the Latter Day Rain theology of a previous generation and it embraces a virulent form of postmillennialism/kingdom-now (Let’s take over the world before Jesus returns) thinking and practice. In the near future I intend to write an article using NAR as a case study for Christocentric hermeneutics (understanding the Bible from a Jesus perspective). My apologies to those who are unfamiliar with some of the strange words I have used in this post… perhaps another problem facing the church is the detachment of theologians from practically-minded non-academic Christians – ouch! Spot on, Chris, but not far enough with detail – maybe still coming? I believe (from a Methodist perspective – not much experience of the Church as a whole) is that the problem comes from not teaching the Bible any more – at least not in depth – resulting in the younger Church is growing up as illiterates and to a large extent loses track of “real Christianity”. When we come to other problems, one can trace many back to the origins of our youth -Christian Illiterates. Facing a problem, there is no background or personal knowledge base to face it. We are fast heading for the Pluralism or Audience only models – but as you point out, it is a complex problem not sorted out easily. Please continue trying! Thanks for your comment Sarel. Some others have responded on my facebook page with what they feel are the issues facing the church of today. I will probably take up these concerns, and yours, and write short articles on each… but this won’t be for at least a month as I will be out of town for most of February. Thank you Chris, I would be interested to know what the Calvinist/Arminian debate is. Hi Grace. Your question would be answered differently depending on whether you were asking a Calvinist or an Arminian. The ‘debate’ is often heated and dogmatic, and has been so for a very long time now. The article at http://christianity.about.com/od/denominations/a/calvinarminian.htm is quite good but does contain several of the usual inaccuracies endemic to this debate – but it does give an overall view of major differences. In essence the deep concern of Calvinists is that God’s sovereignty and glory be upheld. The deep concern of Arminians is that God’s character be protected. It is often said that the core difference between the two systems is Free Will (Arminianism) vs Sovereignty (Calvinism) but I disagree; I believe that the central difference is Determinism (Calvinism) vs Prevenient Grace (Arminianism). But, it requires a lot more than a short blog post to do justice to the subject. Where do I stand? Well, I hate to be labeled but if I have to choose one it would have the word ‘Arminian’ in its title and it definitely would not contain the word ‘Calvinism’. Hope this all helps. I absolutely agree with Sarel. Preaching has steadily diluted from exposition of scripture passages to occasional references to scripture in “motivational” presentations. I have observed this in Baptist churches but probably pervades other denominations as well. This is a dangerous trend because our thinking and priorities is then not sufficiently governed by scripture. 1. Study the Gospels and Acts to identify what Jesus’ and His Apostles priorities were. Convince yourself that they are timeless. 2. Prayerfully select 12 quality people within your church who are willing to make sacrifices and disciple them for three years. Be prepared to lose a few during that time. 3. Ensure they are filled with the Holy Spirit so that they can flow in His gifts. 4. Hold them accountable to themselves disciple others to the third generation. 5. Equip them to teach scripture passage by passage rather than topically. 6. Work yourself out of a senior pastoral role into a different role after say 5 years, or into a new church plant (if you have the suitable gifting for it). Am I being too critical in my assessment? I have really enjoyed your recent blogs, which have all sparked useful reflections. Your short article much appreciated. I am engaged in helping people know how to study God’s Word due to the tremendous lack of basic understanding of interpretation of Scripture and basic doctrines of orthodox Christianity. For this reason I refuse to do topical studies without rooting them firmly in biblical context and passages. I recently heard a pastor redefine “faith” as a dimension, never once quoting from texts which clearly describe what faith is, how it works and what it produces. When leaders believe their “revelations” and clever definitions are better than God’s revealed Word, there is almost no ground upon which to reason with them, correct them or hold them accountable for reading into scripture what is clearly not there. I Have heard leaders say there is no propositional truth in the Bible and justify the lack of a thorough exegetical attempt to teach because people don’t care about doctrine today. My God…how short sighted. Thanks Chris. Very insightful. I would think that the authority of Scripture should also be up there, which I do not view as exactly the same issue as inerrancy. That Jesus is the only Way, Truth and Life also presupposes that John 14:6 carries absolute authority. I’m interested in the Calvinistic/Arminian debate – maybe this is a good time to go through the differences between them with us again?